Don’t get us wrong. 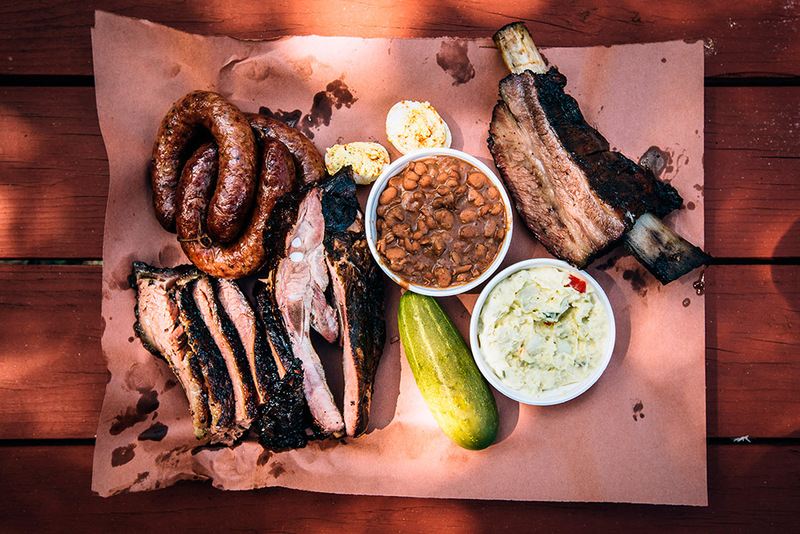 There’s nothing much better than spending a day in Lockhart, the Barbecue Capital of Texas. But when you want to stay closer to home, there’s good news: The Original Black’s Barbecue–of Lockhart fame–has a location right here in San Marcos. And it’s only 10 minutes from Pecan Park! Don’t rush to a table when you walk in the door. Instead, join the queue leading up to the counter. Grab a tray, and load up on sides as you wind through the line. Choose from creamed corn with smokey bacon, extra cheesy mac & cheese, smoked cabbage with bacon, and southern staples like potato salad and cole slaw. And you can’t miss dessert: banana pudding with wafers, chocolate pudding with Oreos, and peach cobbler. Oh my! You can get your cup for a fountain drink or tea at the counter. If you’d prefer an adult beverage, that’ll happen in the adjoining room at the full bar. Draft beer, wine, and spirits are all available. The food is amazing, but the welcoming atmosphere adds to the experience even more. 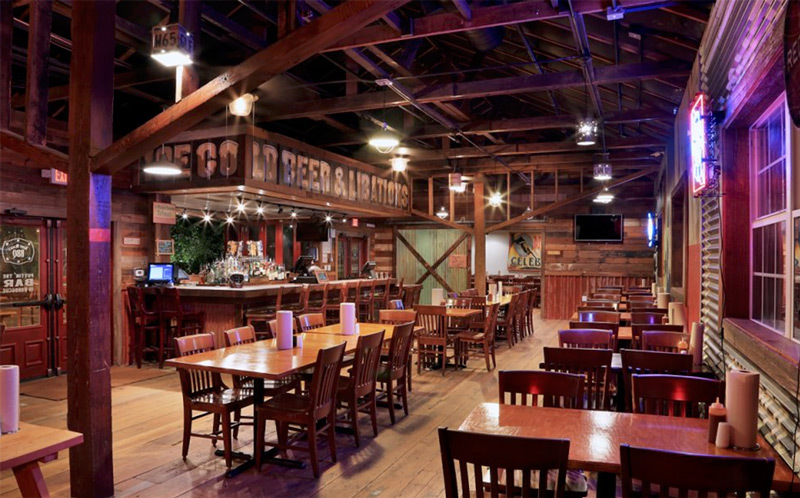 The Original Black’s Barbecue in San Marcos has two seating areas to choose from: a large indoor dining room, and a huge outdoor area. There’s no question that when the weather is fine, outside is the place to be. Black’s has a full live music schedule every weekend, with shows typically scheduled for Friday through Sunday. There’s no extra charge for enjoying the music while you devour some of the best barbecue in Texas. 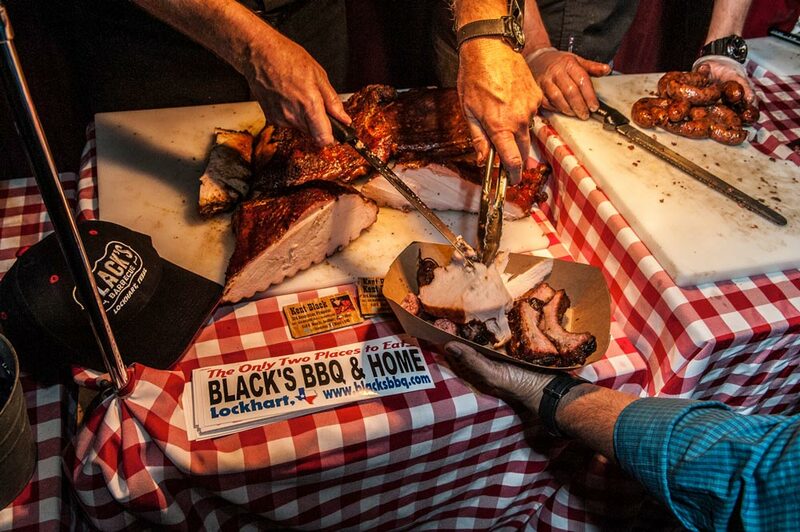 For the updated live music schedule, bookmark the live music calendar on the Black’s Barbecue website. If you prefer to dine at your RV with your friends and family, you can easily take your food to go. In fact, The Original Black’s Barbecue also provides catering, which you could have in our Activity Room that’s available for rent. The people attending your RV rally or special event will never forget this taste of Texas! The Original Black’s Barbecue is located at 510 Hull St. in San Marcos, TX. The restaurant is open seven days a week, from 11 a.m. to 8 p.m. Sunday through Thursday, and 11 a.m. to 10 p.m. Friday and Saturday. 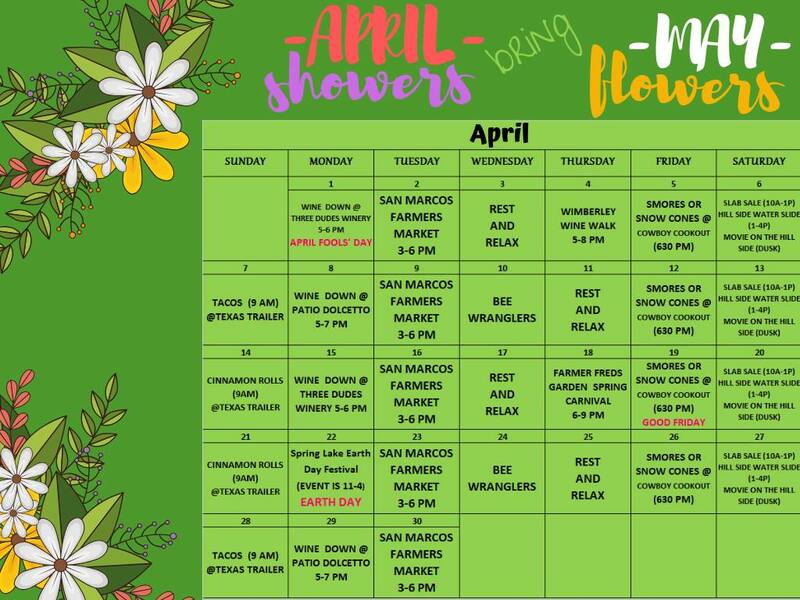 Visit blacksbbq.com/sanmarcos for the updated menu, catering information, and more. Can’t wait to try The Original Black’s Barbecue? 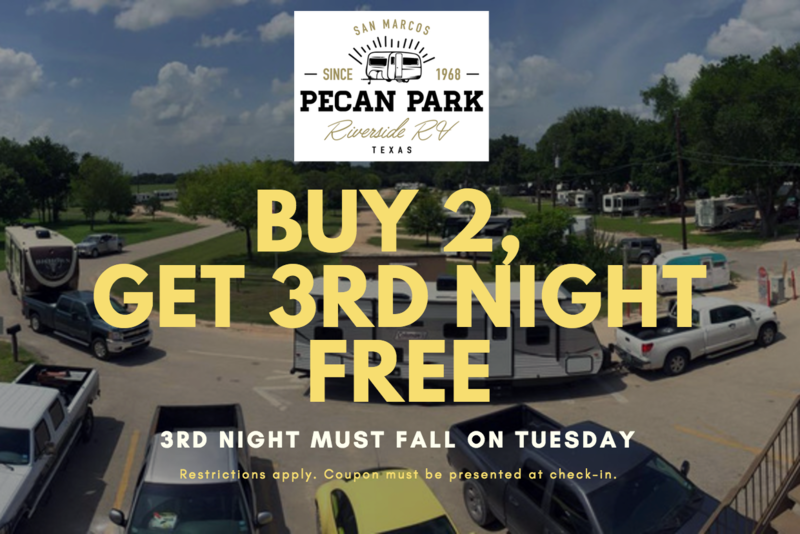 Book your stay at Pecan Park today.